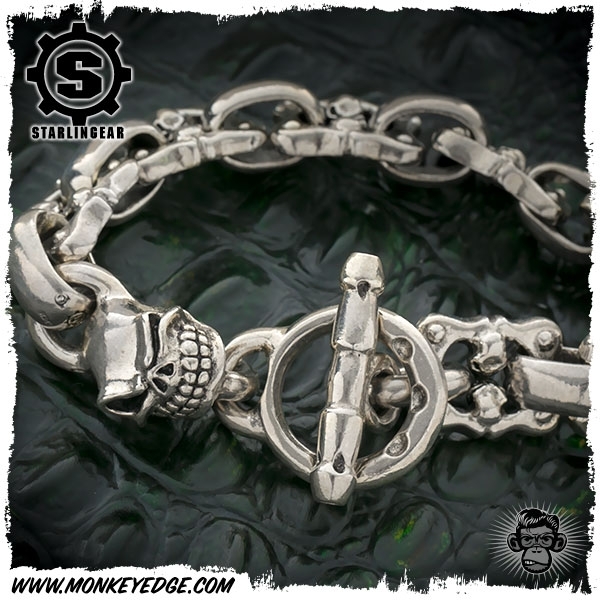 The classic Slickster skull on a bracelet. 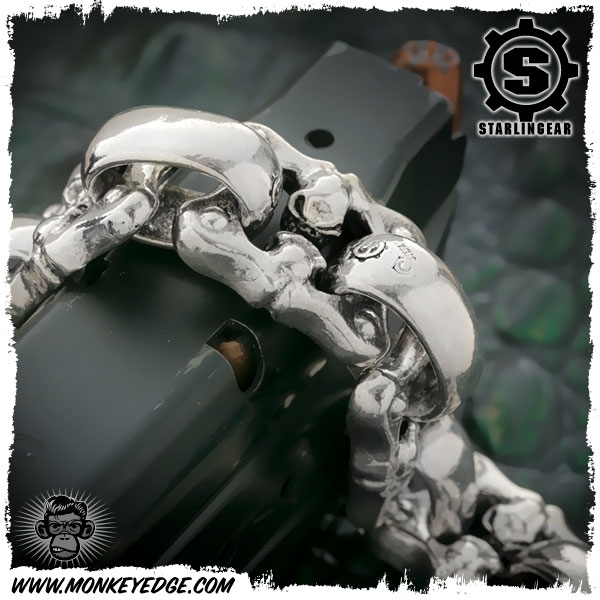 This piece features the newest Starlingear link: the Face Off. If you look closely, you can see each link actually has two tiny Slickster skulls facing each other in the interior. 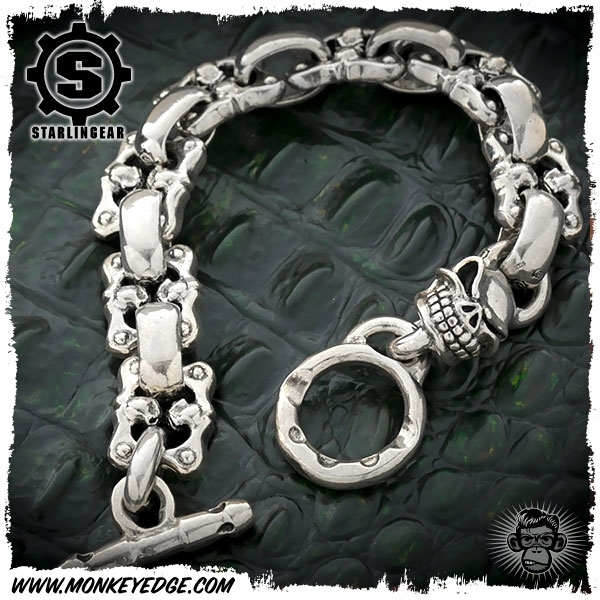 These are combined with the classic flat links for a larger pice that wears comfortably.